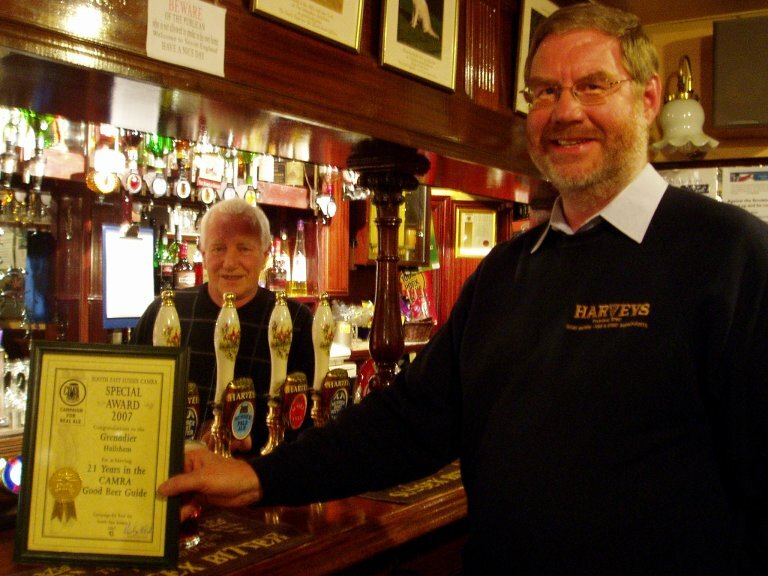 With the publication of the 2008 edition of the ‘Good Beer Guide’, the Grenadier in Hailsham, a Harvey’s house, achieved 21 years of consecutive listings. Members of South-East Sussex Branch visited the pub last November and were pleased to award a CAMRA certificate to the bar manager Ray Roberts, to mark the achievement. (picture shows) South-East Sussex Branch chairman, Peter Mitchell (right) and bar manager Ray Roberts accepting the award.